Stained glass is not just for churches. If you walk through any of America’s older neighborhoods, anywhere Victorian or Craftsman-style homes are common, you will undoubtedly stumble upon beautiful works of art embedded right into the walls. 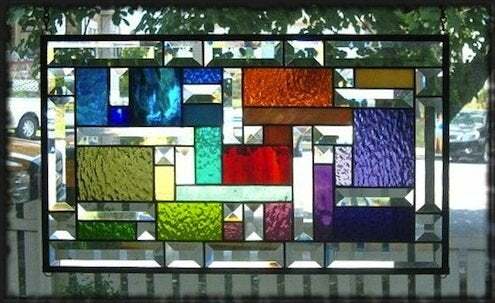 Designers Frank Lloyd Wright and Louis Comfort Tiffany brought stained glass out of the churches and into homes. Wright’s stained glass pieces echoed his architecture, with geometric patterns of straight lines, rectangles, squares and circles dominating. Tiffany’s work was much more inspired by nature, with fluid lines and outstanding representations of trees, flowers, and other natural elements. 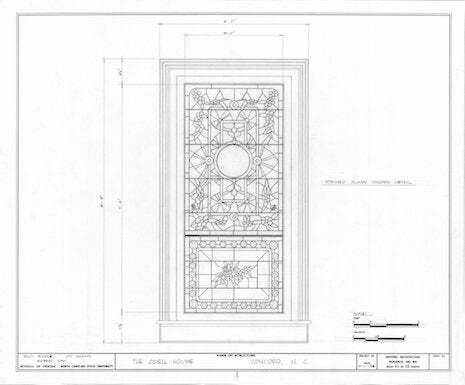 Most stained glass is custom-made, and though the process is fairly straightforward, it requires great talent, skill, and experience to create a quality and enduring piece. First, an artist creates a small-scale version of the design. To create a pattern, measurements are taken of the actual window space. The pattern is transferred to paper, cardboard, or even a large table, where the space will later be filled with glass. Next, a full-sized drawing, called a “cartoon”, is prepared in black and white. Cutline (exact tracing of the leadlines) and pattern drawings are made with this cartoon. Colored glass is then cut into the shapes on the pattern and painted if necessary. Once all the pieces are cut, they are bound with strips of grooved lead, known as “cames”, which are then soldered together. Stained glass need not be reserved for renovation or older houses. It is often called a “practical art”, as it’s an extremely versatile medium and can be customized to suit nearly any design style or taste. 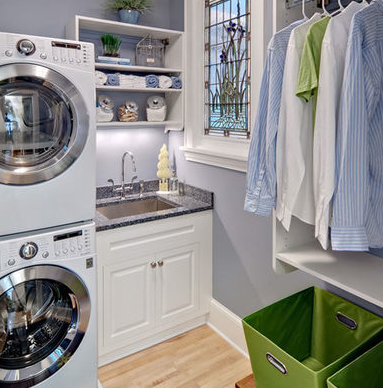 In older houses, it is most often seen as accents in stairways, entryways, bathrooms and kitchens. But stained glass can successfully be used almost anywhere—as a room divider, fireplace screen, or even a ceiling. • Stained glass can provide privacy while still being beautiful, especially useful for spaces like bathrooms or bedrooms. • A properly placed piece of stained glass can block an unattractive view, like perhaps your neighbor’s side yard, or the vacant lot behind your building. 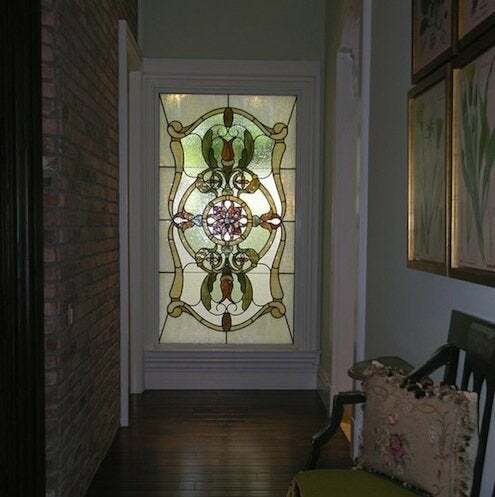 • Stained glass can express individuality, whether it’s a front door, transom, or other architectural feature. If you decide to use stained glass somewhere in your home, make sure you put it in a place where daylight will bring out its beauty. The color can truly transform the mood of a room. Also, find some nighttime lighting to make it interesting after the sun goes down. You’ll discover something different in it to enjoy at every time of day.